One form of advocacy is the celebration of the Elderly Filipino Week on October 1-7 to be led by the DSWD in partnership with other government agencies, local government units (LGU), and non-government organizations (NGOs). This year’s theme, “Igalang ang Nakatatanda at ang Kanilang mga Karapatan”​, emphasizes that older persons and their rights should be respected. This came to light in the wake of videos uploaded in social media which went viral showing a man hitting his elderly mother. According to DSWD Secretary Corazon Juliano-Soliman, the Department continues to advocate for the strict implementation of Republic Act (RA) 9994, or the Expanded Senior Citizens Act of 2010, which provides more benefits and privileges to older persons. They are entitled to 20% discount on the purchase of certain goods and services, special 5% discount on prime commodities and basic necessities, and 5% utility discount on electric and water consumption. “By implementing the law’s provisions, we are promoting and upholding their rights. The Department also encourages the public to report to the authorities cases of elderly abuse to ensure their well-being and protection,” Sec. Soliman stated. Presidential Proclamation No. 470 mandates the annual celebration of Elderly Filipino Week or Linggo ng Nakatatandang Filipino every first week of October to emphasize the important role that older persons play in nation building, as well as raise and address issues concerning the older persons’ sector. To mark the week-long event, the National Steering Committee​, chaired by DSWD, will conduct activities starting with the Walk for Life to be held at the Quezon City Memorial Circle on October 1 (Thursday), Forum for Retirees, Talakayan on Social Insurance, “Dalaw Kalinga;” Visit to Visitorless, Indigent, Sick, Older Prisoners (VISO) and disaster preparedness for seniors. More than 2,000 participants from the different senior citizens’ organizations, other government agencies, and NGOs will join the ‘Walk for Life” at the Quezon City Memorial Circle starting at 6:00am. Walk for Life is held annually by the Department of Health (DOH) to enhance awareness of the public on the health concerns and well-being of older persons. To ensure the well-being of older persons, the DSWD implements the Social Pension for Indigent Senior Citizens which is the provision of P500 monthly cash grants to indigent senior citizens, as stated in Republic Act No. 9994. The Department considers the following indigent senior citizens as its priority for inclusion in the program: (1) frail, sickly, or with disability; (2) without pension from GSIS, SSS, AFPMBAI and other insurance companies; and (3) no permanent source of income or regular support from his/her relatives. From 2011-2014, the Department prioritized senior citizens aged 77 years old and above. However, for 2015, age coverage of the program ​covers​ 65 years old and above. For 2014, a total of 403,284 social pension beneficiaries were paid with a budget amounting to P2.9 billion. For 2015, some 692,256 beneficiaries were paid with a budget amounting to P3.4 billion. 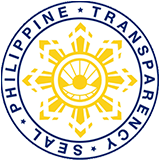 The amount of P5.9 billion was allocated for the monthly stipend of P500 for 2015. Meanwhile for 2016, a total of 1,182,941 indigent senior citizens are targeted for the Social Pension program with a budget of P7.5 billion. “With the increased budget, the Department can now serve more older persons in need,​” Sec. Soliman stated. Aside from the Social Pension program, DSWD manages four residential care services located in Quezon City, Rizal, Davao City​, and Zamboanga City. These residential homes take care of older persons who are abandoned and neglected by their families.